I read this book to my 4 year old grandson, Seth. We both enjoyed it, he giggled loving the antics of Kika. Kika is a confident child who knows what she wants and isn't afraid or embarrassed to let it be known. I love that with this book, it shows that if you have a dream to go for it. This is a well crafted book, the front cover is very eye catching and the illustrations throughout the book are bright, cheerful and at times witty. This story flows nicely, the pictures matching the story perfectly with font size just right. A great book that will appeal to boys and girls alike, but I imagine the young gymnasts out there will really enjoy it. The author, Jessica Tudos is here today to also talk about this lovely book. 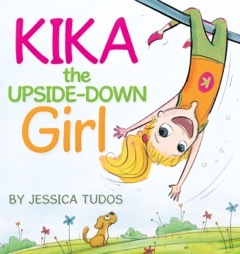 Why was it important to write Kika The Upside-Down Girl? As an Olympic gymnast who spent 10,000+ hours upside down, I feel Kika The Upside Down Girl is a platform from which to engage, inspire, and entertain kids as they explore what it means to be themselves no matter what others think, specially when it’s a bit upside down in a right side up world! I’d have to say the biggest influence on my writing has been my son. It was while I was reading to him that I realized there were no picture books out there about gymnasts. I really started to believe I could so something about it and I kept thinking about his reaction to an actual book. 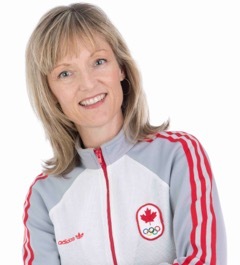 As much as the story is based on my own experiences “finding” gymnastics, it is my son who made me think about the words and meaning – I want him to feel proud of his mom’s book! 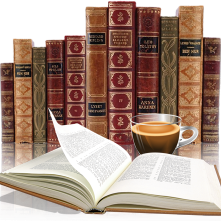 Where does book writing fit into your life? As an experiential educator, motivational speaker, mom and partner, I do a balancing act everyday to keep everything organized and moving forward. I love my lists and flexible work schedule which allows me to focus more on certain tasks when need be. When I’m working on Kika the Upside-Down Girl, I work at night after my son is asleep and in the pauses of the day. As long as things engaging and moving forward, I feel successful and satisfied. If people could remember one thing about Kika, what would it be? I’d like people to remember how hard it is to really be yourself and stick to your guns. Kika loves living upside down despite the pressure she feels to be right side up, like everyone else. We all feel a version of this in life, and I’d like people who meet Kika to feel empowered to stay the course and be confident and courageous in the face of the pressure to conform. When one follows their true path, it is so worth it! Do you have any tips for families who struggle to maintain healthy, active lifestyles? Find the things that work with YOUR family – whether it is playing soccer in the backyard, flying a kite in the park, raking leaves, dancing in tutus in the living room – it doesn’t matter what you do, but that you actually do it. Let the kids decide what they want to do to help their bodies move and grow (I give options, seems to help a lot!). I always try to balance scheduled classes with some spontaneous “we’re going outside to see what we can do” play. What are your fondest memories from the Olympics? Marching out into the Olympic stadium wearing my official uniform and realizing that I was actually participating in the Olympic Games, the same ones I had watched on TV years ago, was really was a dream come true. Day two of the competition where I got a 9.7 for my uneven bars routine was a highlight, as was trading pins, I deserved a gold medal for my pin trading! Hardest question so far – I am a pretty open book! Perhaps it’s that I have been a single mom by choice during these first four years of my son’s life. Approaching 40, I realized that coupledom motherhood was not in the cards so I had a choice to make. So happy to have made this choice, as Sebastian is a true joy and an adventure and a half! Interestingly, I have now met a wonderful partner and we are creating a life together so you never know how life will go… perhaps my family story is a bit backwards, but being an upside down girl, I can’t really be too surprised! Thanks for the FLIPTASTIC review and chance to be interviewed by you. SPOILER ALERT: Other handstanding words included in this somersaultilicious story! Kika fans - please send your #upsidedown photos to jessica@kikacreative.com for inclusion in our online international upside-down gallery at: JessicaTudos.com/gallery AND don't forget to enter the draw to win a copy of Kika! I'd like to win this book because I think my grandson would enjoy it and the illustrations look cute!